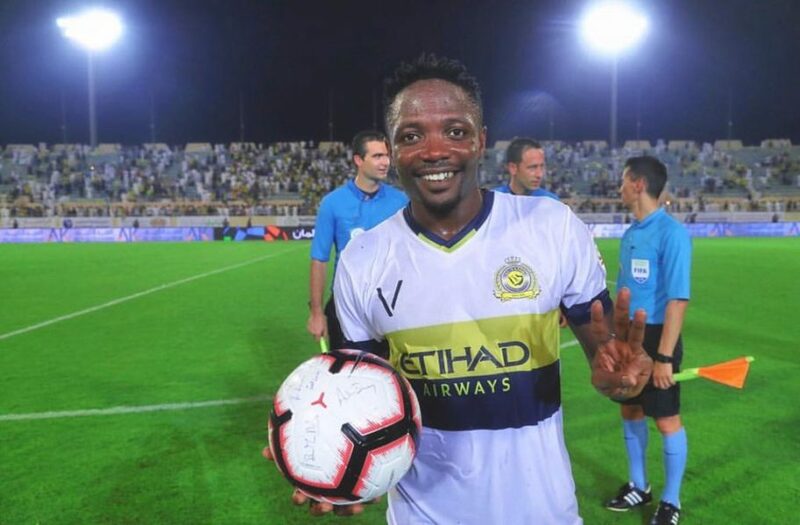 Nigerian international, Ahmed Musa, on Wednesday announced his arrival in the Saudi Arabian league after scoring hat-trick for his new club Al Nassr. After firing blanks in two previous games, Musa scored the goals in the match to secure a 3-0 victory for Al Nassr against their opponent Al Quadisiya in a league meeting. 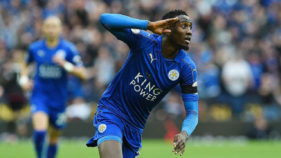 Musa broke the deadlock after getting an assist from teammate Abderrazak Hamdallah in the 21st minute before doubling the lead four minutes before the interval. In the second half, the 25-year-old linked up with Nordin Amrabat for his third goal at the Prince Saud bin Jalawi Stadium in Khobar. After the win, the former Leicester City and CSKA Moscow attacker thanked his teammates and supporters for helping him get the match ball. “First Hat Trick for Al Nassr Thanks to my teammates and the supports for all the love!” Ahmed Musa tweeted. Musa joined the Saudi Arabian from Leicester City in August in a deal worth £17.5 million. The deal reportedly makes him the highest paid Nigerian football player. The win leaves the Jose Daniel Carreno’s team top of the Saudi Professional League this season table with nine points from three games.